The antenatal clinic is held every Friday morning in the Community clinic by a Community Midwife. Please make an appointment at reception. We recommend that all women who are, or have been sexually active between the ages of 25 and 49 years, have a smear test taken every three years. Between 50 and 65 years, a smear is recommended every five years. The practice offers a range of family planning services, which includes contraceptive implants, injectable and oral contraceptives and the ‘morning after pill’. The doctors may undertake minor surgical procedures. Each individual case should be discussed with the doctor; following this an appointment will be offered. Cryotherapy for warts is also available. Our baby clinic is held by appointment on Tuesday’s between 09:30 – 11:30 for child immunisation for children aged between 0-4 years. If you are working and are unable to attend our baby clinic our Practice Nurse will be happy to carry out immunisations on a routine appointment. 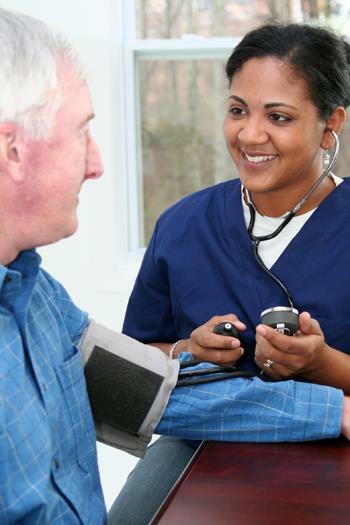 Health Checks: If you are aged 75 years or over, you are eligible for an annual health check. Checks are also available for patients who have not seen a GP within 3 years. Please ask at reception for details.